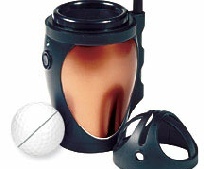 Golf ball balancing machine complete with batteries and pen. Nicely boxed, instructions included or watch our video link on our home page. Price £36.00 each incl. postage. 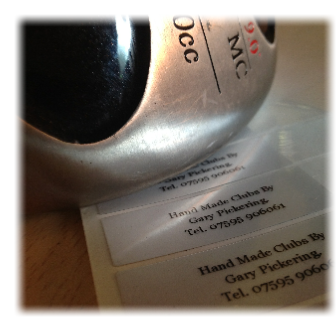 Personalised shaft bands black ink on silver band,with integral wrap over clear film to protect the print. Price £20.00 per set plus postage. 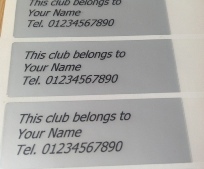 Don't lose a club again. 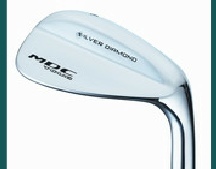 MDC Tour wedges available mail order,available in Left or Right hand versions of either 52 degree gap wedge, 56 degree sand wedge, 60 degree lob wedge. 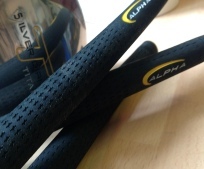 Alpha branded Iron, hybrid or wood grips, very similar to the Golf Pride tour velvet grips, excellent feel and made to last not like some other cheap grips. Price £4.00 each, or 10 grips for £35.00 plus postage.